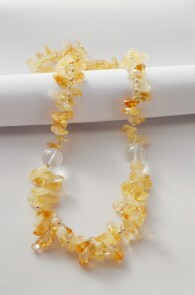 Quality Gemstone Necklace at best jewelry prices. Citrine is the yellow to golden-orange variety of macrocrystalline quartz (silicon dioxide). 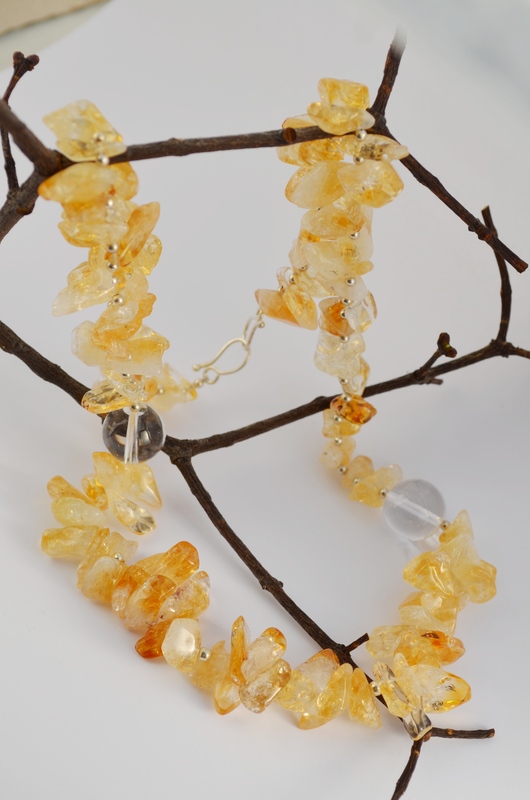 The name 'Citrine' was derived from 'Citron', a French word meaning 'lemon', although its color tends to be more golden rather than lemon-yellow. Citrine is often used as a birthstone of November and it is the official 13th wedding anniversary gemstone. It is known as the 'success stone', promoting prosperity and abundance, especially in situations involving business. Citrine has actually earned the nickname of 'the merchant's stone', owed to the fact that many businesses will keep citrine in their cash registers for good fortune. 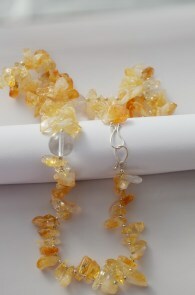 According to many legends, citrine is able to eliminate negative energy. It can help generate stability in life and is good for general protection. Styling your accessories has become just as fun and challenging as putting together an entire ensemble. It’s practically an art.Perfect your style by putting together this necklace with one of this elegant earrings!